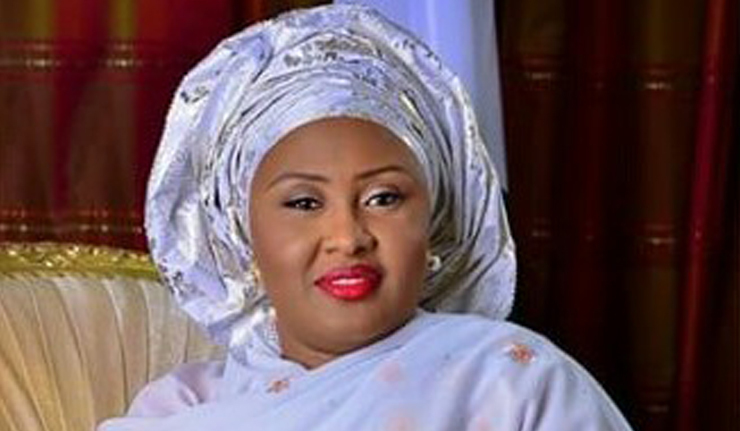 Nigerian Biography: Biography of Aisha Buhari; First Lady Of The Federal Republic Of Nigeria, Politician, Adamawa State Celebrity. spoken but eloquent first lady is fluent in English and arabic. Aisha Buhari graduated from the prestigious Ahmadu Bello University, Zaria in Kaduna State where she bagged a degree in Public Administration. Being a very beautiful woman, she had a flair for making everyone and everything around her beautiful, hence she went further to obtain a professional certificate in Cosmetology and Beauty from the famous Carlton Institute of Beauty Therapy, Windsor, United Kingdom and also from the French Beauty School, Esthetique Academie Dubai. She is also a member of the United Kingdom’s Vocational Training and Charitable Trust and the International Health and Beauty Council. Aisha Buhari got married to General Muhammadu Buhari- (who became the President of the Federal Republic of Nigeria after the 2015 presidential elections) on December 2, 1989 and they are blessed with five children- a son and four daughters. Aisha Buhari besides being a dedicated wife to her husband, is also an entrepreneur. She is the owner of Hanzy Spa and Hanzy beauty institute, an accredited vocational training institute registered with the ministry of Education. The beauty institute is the first of its kind in northern Nigeria. Aisha Buhari however closed down the beauty spa after the inauguration of her husband as the President of the Federal Republic of Nigeria- in other to give him her full support in transforming Nigeria. The saying that behind every successful and powerful man is a woman holds true for the first lady- Aisha Buhari. Prior to the closure, she had offices at Kaduna and Abuja and she personally did the advanced facial treatments like mesotheraphy, gold facial and other complex beauty therapies. Aisha Buhari’s flair for her business made her write a book titled” The essentials of Beauty Therapy.